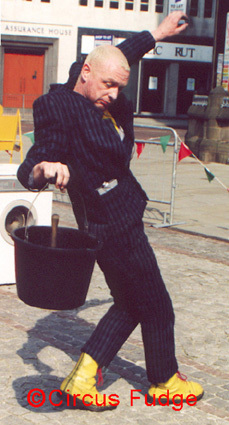 Blunderfudge, uniquely bonkers one-man comedy stunt show by Circus Fudge. He's back! After a break of five years the legendary human cannonball returns. 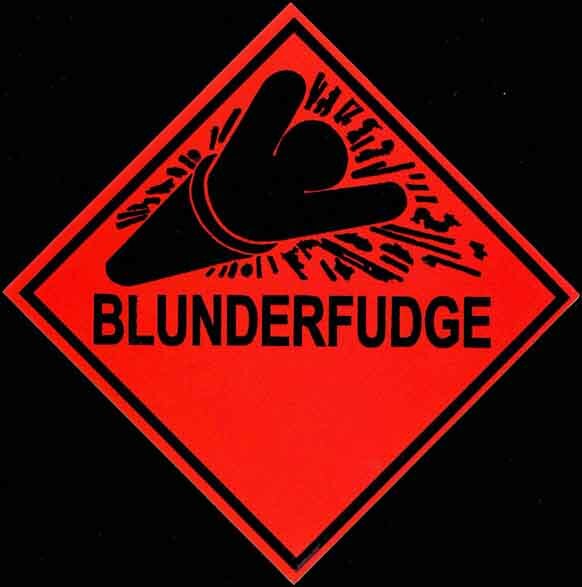 With a collection of wacky props, hilarious timing and the greatest shoulders on earth, the witty, charming and oh so stupid "Blunderfudge" takes to the stage in his quest to become the world's greatest daredevil showman. 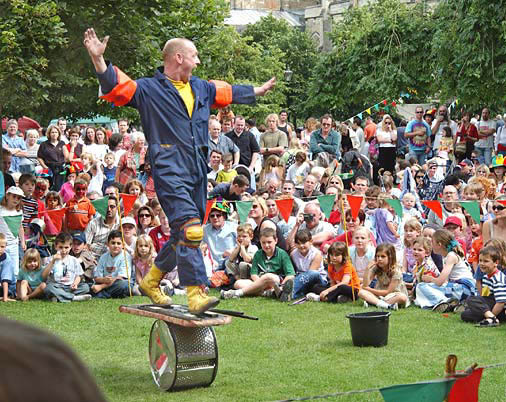 Washing machines that play music, disco dancing with sink plungers, and the infamous Ironing Board of Death all feature in this one man kaleidoscope of circus, foolish theatre, music and comedy. 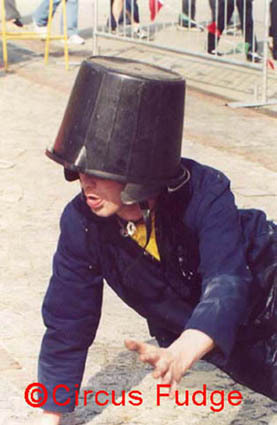 This is a show performed by an idiot, full of sound, fury… and domestic appliances. "Outstanding and Outrageous" Essex Chronicle. 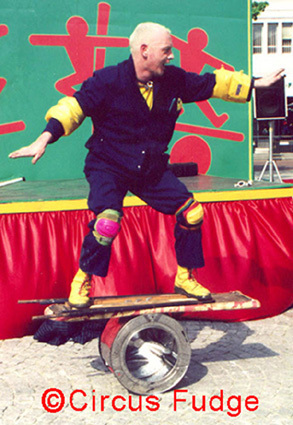 Bringing the traditions of the travelling side-shows up to date with a bang, this unique one man show is performed in, on, around and above a colourfully decorated truck-stage, providing an amazing spectacle for any outdoor event. Click on picture for bigger image. ...and you're better than Lisa Stansfield." Paddy, Cambridge Strawberry Fair. 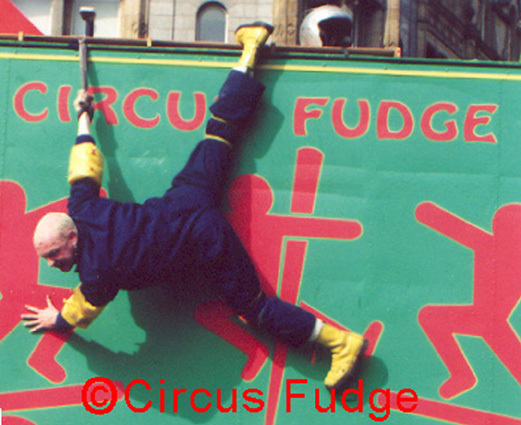 Blunderfudge has been performed all over Britain to thousands of people since 1996. The critical and popular acclaim that this high energy show meets with is echoed by the many repeat bookings it receives. Click here to see a video clip of the Human Cannon.